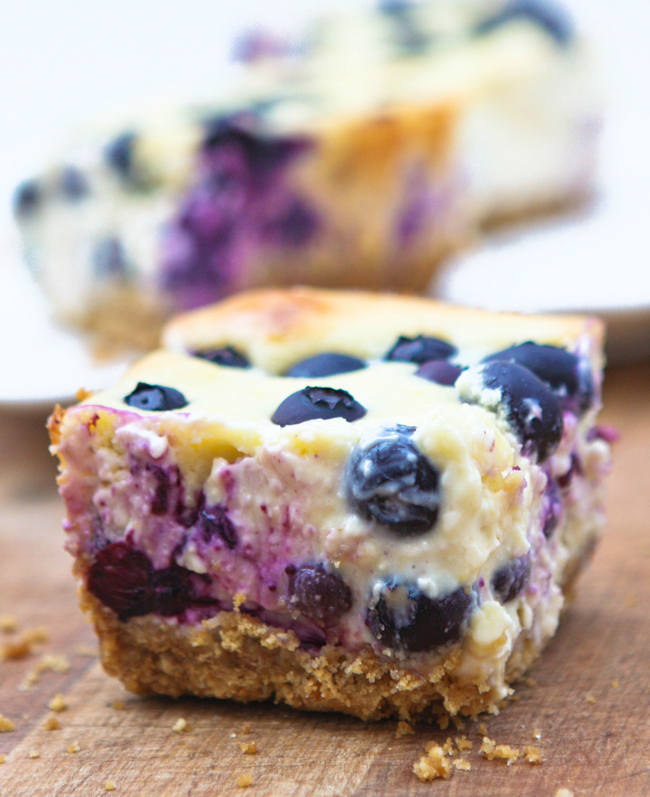 Lemon Blueberry Cheesecake Bars Recipe — Pip and Ebby - easy, delicious recipes! Enjoy this fresh tasty dessert on a lovely summer afternoon! If everything falls into place this weekend, it will be a momentus one. I will wait until it is over to share! I have butterflies in my tummy about every part of it. It has been a long time since I have felt like this! 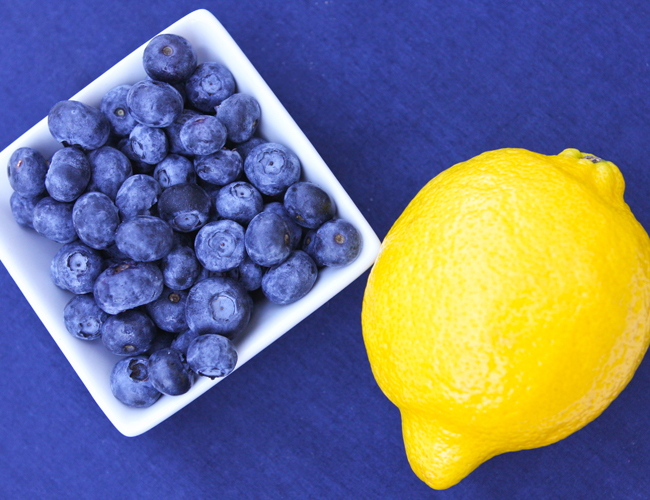 Blueberries + lemons = summery freshness. Preheat your oven to 350 degrees F. Coat an 8x8-inch baking dish with cooking spray. Pulse until fine crumbs form. Add 5 tablespoons of melted butter and pulse until crumbs are moistened. Press crumbs into the bottom of the prepared baking dish and bake in the preheated oven for 10 minutes. 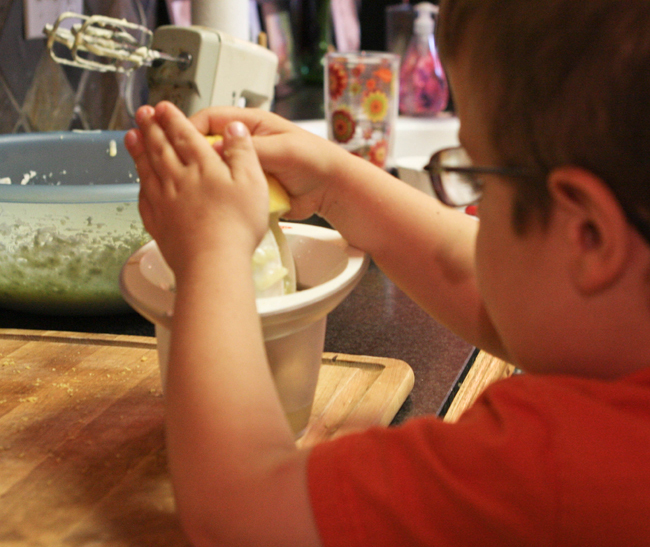 Using a hand-held mixer, mix on medium speed until smooth. Mix with a hand-held mixer until combined. Remove a handful of blueberries from a 1-pint package and set aside. Pour the rest of them into the bowl. Gently stir with a spoon until combined. Pour the cream-cheese-blueberry mixture over the crust. Drop the reserved blueberries evenly over the top. Bake in the preheated oven for 45 minutes. Let cool completely. Cover and refrigerate for a minimum of 4 hours before serving. Here's to summery, fresh, butterflies-in-tummy days ahead! Enjoy your weekend! This dessert is deliciously fresh! Preheat oven to 350 degrees F. Coat an 8x8-inch square baking dish with cooking spray and set aside. In a food processor, combine graham cracker pieces, sugar, brown sugar and salt. Pulse until fine crumbs form. Add melted butter and pulse until crumbs are moistened. Press crumbs into the bottom of prepared baking dish and bake in the preheated oven for 10 minutes. In a large bowl, combine cream cheese, milk, eggs, sugar and flour. Using a hand-held mixer on medium speed, mix until smooth. 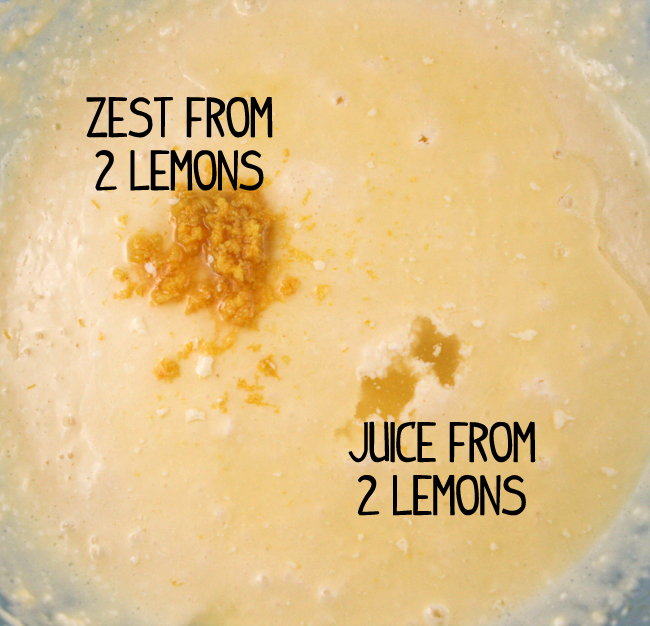 Add lemon zest and juice and mix until combined. Add blueberries (minus a handful) and gently fold in with a spoon. Pour the cream cheese-blueberry mixture over the crust. Drop the reserved handful of blueberries over the top and bake in preheated oven for 45 minutes. Let cool completely and refrigerate for a minimum of 4 hours before serving.